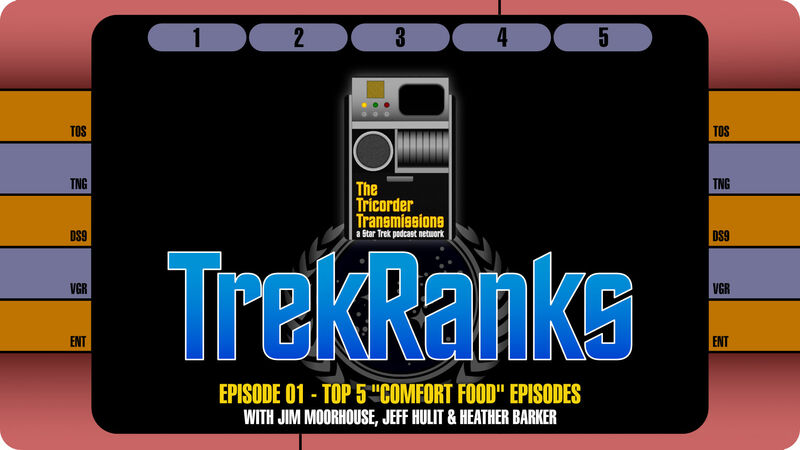 The first official episode of the TrekRanks Podcast features hosts Jim Moorhouse and Jeff Hulit each breaking down their Top 5 "Comfort Food" Episodes with special guest Heather Barker of Shore Leave. As they do in every episode, our hosts begin by running a Level One Diagnostic on the topic, and then discuss the Prime Directive that guided their ranking criteria. Jim, Jeff and Heather then break down their selections in The Order of Things by revealing their "Five Word Summary and Hashtag" for each episode. Their choices run the gamut between deep cuts and all-time favorites, showcasing the variations of what each individual viewer might label as a "comfort food" episode. Whether it&apos;s an episode you just love watching over and over again, or one that you thing is perfect for a rainy Sunday afternoon at Jake Sisko&apos;s house, a "comfort food" episode speaks to you personally and can literally be anything to anyone. And that&apos;s exactly what we find to be revealed in this episode of TrekRanks! 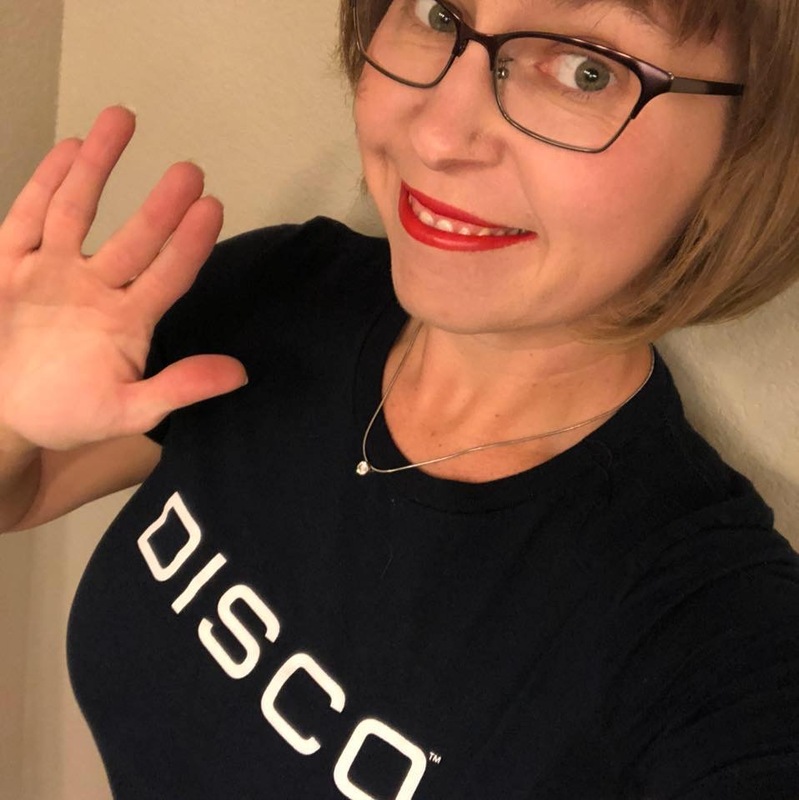 After listening, make sure to hail us here on our website by leaving a voicemail and record your own personal TrekRanks log to let us know your Top 5 "Comfort Food" episodes. Your comments might be used via a Temporal Causality Loop in an upcoming episode. The Corbomite Manuever - Kirk bluffs his way out of death and saves his crew. When I heard the title of the podcast this is one that jumped to mind but listening to it I do actually think Gamesters of Triskelion may be a better example. In that one, Kirk romances a woman, teaches her love, shows off his fighting skills and basically saves the day by gambling that he&apos;ll be more than capable of defeating the challenge laid down to him by the Gamesters. However i did say i would I would present alternatives so heres The Corbomite Manuever. 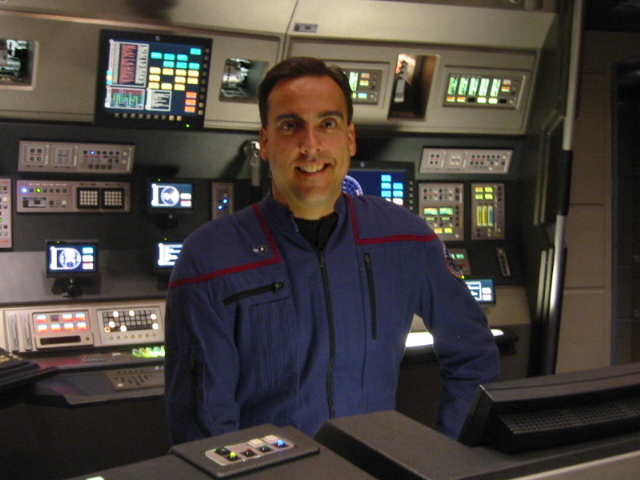 You see his love of the ship ("I've already got a female to worry about, her names the Enterprise"), his relationship with Bones, his education of Spock (teaching him about gambling) and the way he gives Bailey a hard time so that the young navigator comes out stronger at the end of it. His speech about meeting new life and not being afraid of the unknown is a classic and the way he deals with Balok at the end is a prime example of befriended and previously benign alien. Above all his ability to bluff his way out of trouble is at his best here. "If death has no meaning to you then attack us now, we grow weary of you foolishness..." or something like that. Balok chickens out and Kirk has won. At the end of Wrath of Khan when Kirk says to David he's always cheated or tricked his way out of death, this is the episode i think of. The Ultimate Computer - This is one i was going to mention right from the start. Prime Kirk moments are buttered all over it. His love of the ship, his resentment at possibly losing command and being threatened by something that may leave him redundant, his patient/doctor relationship with Bones and, quite importantly, the way he identifies with the idea of being a old seafarer on a galley or sailing ship. This ties in with the idea of Kirk as Hornblower and again this ties into the way Starfleet is presented almost as the Navy in Star Trek II. You also see Kirk speaking to an old friend (Commodore Wesley), friction with that old friend over the Dunsel remarks, friction with a visiting guest on board ship (Daystrom) which occurs in many episodes and his horror at losing a crewman. The end is also very important - Kirk talks a computer to death (which in essence is his ship this time out) and also gambles that his old friend Wesley wont attack at the end. Essential Kirk. Spectre of the Gun - That threw you off guard didn&apos;t it? Lets see.... Kirk ignores the Melkotian warning buoy that&apos;s telling him to stay away. Firstly, hes under orders to say hello, secondly he&apos;s extremely confident in his own ability that he can make the Melkotians accept his friendship. Once on the planet, he's keen to make clear that if the Melkotians do start being aggressive then the landing party is capable of defending itself (possibly another bluff but prime Kirk bravado). Once in the scenario of the Wild West (which is drawn from Kirk&pos;s mind because his ancestors were western pioneers) we see several different aspects of Kirk. The frustration when no one in the bar will acknowledge them as anything other than the Clantons. The attempt to appease the Earps which fails miserably. The misery at apparently losing Chekov, the sheer anger at this which spills over during his attempts to win over Sheriff Behan ("yes i want to crush the life out of the Earps.... but i cant kill them") and the hope that the gas grenade will be the answer to their problems. When it fails the others are musing over why it didn&apos;t work whereas Kirk realises that, hey, we need to come up with something else fast. 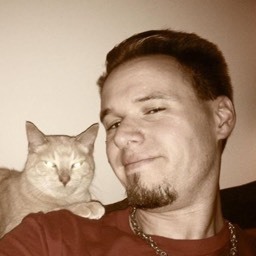 We have the realist Kirk who knows they haven&apos;t a chance at winning the gun fight by drawing their guns, all the while that Scotty is willing to give them a fight. Its Kirk that comes up with the idea of the Vulcan mindmeld and once "hypnotise"as it were, he fearlessly stands up to the Earps and even bests Wyatt in a fight that involves his famous drop kick maneuver. And, just like in Arena, he refuses to kill even though hes severely tempted to. Spock points this out and Kirk says humanity obviously overcame its need to do kill for anger. Another good example of this is Taste of Armageddon when he says "we're killers but we can say we're not going to kill today." That&apos;s another good episode right there.